A group of researchers at the Guangdong Academy of Medical Sciences in Guangzhou, China have retracted a paper that came out of a clinical trial on transarterial chemoembolization, a targeted kind of chemotherapy. According to the notice, one of the authors mixed up the control samples with the clinical samples, and “could not recall which samples were in the wrong group.” The paper hasn’t yet been cited, according to Thomson Scientific’s Web of Knowledge. 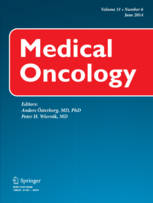 Article “Clinical value of circulating tumor cells for the prognosis of postoperative transarterial chemoembolization therapy” by Jian-wen Huang, Bing Liu, Bao-shan Hu, Yong Li, Xu He, Wei Zhao, You-bing Zheng, Li-gong Lu, published in Volume 31, Issue 9, DOI: 10.​1007/​s12032-014-0175-5 has been retracted at the request of the authors. The author who was responsible for circulating tumor cells counting mistook some TACE group samples for control group samples in collecting and could not recall which samples were in the wrong group. The authors apologize for any inconvenience this might have caused. We emailed the authors and the editor, and will update with any new information. Two months elapsed between publication and retraction… Minor damages may be expected. Good point for the authors, and Springer. Disclaimer: I work with several groups of Chinese and have strong personal and professional relationships in some cities in China, including in Guangzhou. You must specify a deadline for reply, otherwise the bet will remain indefinitely off! That’s a good point! Waiting forever increases the chance that I’d have to buy those three beers! So, let’s assume that the e-mail is received within a few seconds. Then, let’s assume that hypothetically, the corresponding authors would check his e-mail once a day. Let’s factor in the fact that the RW e-mail invitation might be ignored, or and up in the spam folder, or might not even be delivered. Thus, a new invitation is sent, a few days later, perhaps to all co-authors. Even then, let’s assume that the majority does not want to or is not willing to reply while, perhaps, a minority, might not be confident about responding in English. The hesitation might cause a further delay, but perhaps the conscience might induce a response, eventually. One or more of the authors might even be on a trip to a symposium. So, considering all these factors, I would say that the chances of a response are close to zero. But a fair period for responding would be 2-3 weeks (worst-case scenario) or on the same day (best-case scenario). At least that’s sort of the trend I’ve observed with queries. So, to offset these doubts, I always recommend that all co-authors be contacted, as well as at least one institutional official contact, and 2-3 related parties. This ensures that at least the request, invitation and/or claim has been received. My biggest worry is how to get the beers from Japan to NY, past US quarantine, at a reasonable cost, assuming of course that: a) the RW team even drinks, or appreciates, beer; b) they win the bet! Note that “an adult signature is required for all shipments”. Well, to date I never emailed a Chinese researcher asking something. But even with Japan I have the same experience. I never got a reaction. Must be some cultural barrier with far east asia. Plus the language barrier, apparently.